The Edmonton Valley Zoo welcomed its first guests on July 1, 1959. June 30, 1959 Edmonton Journal. The article also said the "ceremony will climax months of planning and construction aimed at making the zoo one of the best of its kind on the continent." Referred to in the article is the children's zoo in Laurier Park - the facility cost $500,000 at the time. Admission was 10 cents for children and 25 cents for adults. Bus service left downtown every half hour during the peak season. Since 1959, the zoo has continued to evolve and grow. 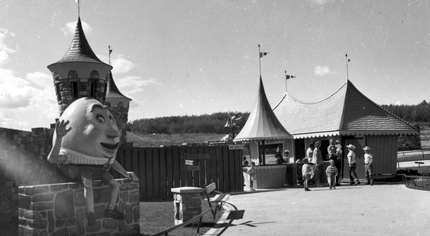 In 2009, the City announced the current revitalization that is to completely overhaul the zoo — the redevelopment of the former and beloved Storyland elements that have earned their places in the hearts of Edmontonians. While the Storyland Zoo was leading edge in 1959, times have changed and the City of Edmonton is continuing to move forward, transitioning the zoo into an innovation focused on learning and conservation initiatives.